Penns Peak is a concert venue in Jim Thorpe PA and my first experience there was last night when I was lucky enough to see Flogging Molly and openers Lucero. I have seen both bands previously when each was touring with (oddly enough) Frank Turner and the Sleeping Souls. The prior performance by Lucero was as an opener for FT and like this one was abbreviated to about 40 minutes. This band has been around for over 15 years and has produced a 12 albums of new and live material and after a deep dive into their music last year I can attest to how great this band is. Unfortunately, a short opening set only wets the appetite. The band members are top notch musicians and they got the show off to a great start, hi lighting material from their 2018 release “Among the Ghosts” By the time they got to the barroom rocker”For the Lonely Ones” the band was in high gear but ended their set. This band is one my watch list for headlining shows when they can really stretch out and dig deeper into their catalogue. Flogging Molly has produced 8 albums since their debut “Swagger” in 2000 including Live at the Greek Theater from 2010. (A must-hear if you’ve never seen the band live. the accompanying videos are a great intro into how great this band is live). Their blend of Irish folk, punk and rock and energetic live shows ( complete with mosh pit) have gained them a reputation of one of the best touring bands around. FM played music spanning their entire career hi lighted by crowd favorites Drunken Lullabies and Seven Deadly Sins. An unexpected high point for me was Float which is a concert staple for the band but seemed to take on added resonance last night. Dave King definitely placed himself in the top tier of frontmen that I’ve ever seen with his energetic acoustic guitar playing , his stories and banter between songs, references to his early life in Ireland and loving, funny shoutouts to his departed parents. It only adds to the everyman vibe of the band that after the final encore, the lights come up and the PA plays “Always look on the Bright Side of Life” (a song all Monty Python fans will know) while Dave King stays on stage to dance around and say hi to the crowd. All in all , a great first concert of what I hope to be another great year of live music for me. So 2018 was an up and down year musically but as it happens every year when I look back I realize that an up and down year can produce some great music. My spotify mix (created by some algorithm) seemed to think I was primarily interested in country rock and to some extent , I was, but as you’ll see in this list my favorites, as in most played, are all over the spectrum. 7. Death Cab for Cutie “Thank You for Today” Ive liked a song here and there by this band but I like this album top to bottom, especially this one. 9. Some bands have the ability to make you feel like you’re standing in a small club listening to them play. Nathaniel Rateliff and the Nightsweats do just that. This song channels Southside Johnny and the Asbury Jukes in the best possible way. Thats just a smattering of some of my favorite albums of the year. Wishing everyone a great 2019. I have what some may call an overinflated idea of the power that music has in our lives. I often feel that I haven’t fully experienced something until I’ve associated that event with a “soundtrack”. So after my little sister Kristin revealed recently that she had been diagnosed with breast cancer I began to think about music’s value to a person faced with such a challenge. Could I gather a few songs that might , just a little, inspire, provide support or encouragement or maybe distract, for three or four minutes from the daily grind of treatments, appointments and side effects. I recognize the conceit of doing this. To assume I understand what it feels like to deal with such a diagnosis would be crazy. The shock, the fear, the uncertainty and anticipation of the upcoming battle and even the work of presenting a brave face to the world when the effort to do it is to much to bear is something I’ve been blessed not to have personally experienced. On top of all of that, what if the music I pick is not even music she likes. So I decided this doesn’t have to mean anything more than this: Little Sis here’s a few songs that mean something to me and I hope they might mean a little something to you as you fight your fight. “Swim” by Jack’s Mannequin is pretty direct. The lead singer wrote this while undergoing treatment for leukemia. Obviously he gets it. This Tom Petty song is especially poignant. Stevie Nicks on backing vocals. This was recorded at his last performance. “Waiting on a Sunny Day” was written by Bruce after 9/11. I choose to view it as an ultimately optimistic song. Today may not be sunny but “things are gonna be ok”. One of the most powerful uses of music in my lifetime was Live Aid. A mostly unknown singer Bob Geldof organized a trans continental daylong concert from most of the top artists of that time. Bowie’s performance of this song was one of the highlights. The song has been co-opted more times than I can count but I believe there are heroes in every cancer center who are heroes “just for one day” , who get up the next day and say it again. U2’s catalogue is overflowing with majestic inspirational music. This one in particular got me. “ The Lights if Home” to me means that when you are struggling, keep your eyes on home,” your loved ones, family and friends to help you get through. Of course this song pretty much explains itself. So there it is. Just a few songs for whatever that may be worth. Maybe they’ll give you a few minutes of distraction or a smile. Frank Turner is an English singer whose songs have been described as folk punk. A former member of the punk band Million Dead, his songs as a solo artist are folk songs with a punk asthetic – fast paced, aggressive, fist pumping and easy to sing loud to. What we really love about his songs though is the message inherent in his lyrics: to be true to yourself, experience life to the fullest, and be authentic. Very inspirational and life affirming at any age, whether your adult life is just starting or you’re facing midlife and questioning what comes next. Turner has never shied away from the political, but it hasn’t been as much of a focus as earlier in his career. Early in his solo career he wrote songs bursting with youthful indignation and righteous anger. They were sometimes political, sometimes blasphemous and occasionally profane. The last two albums, 2013‘s Tape Deck Heart and 2015‘s Positive Songs for Negative People found Frank focusing more inwardly; somewhat pessimistically, on TDH and then with a somewhat sunnier outlook on Positive Songs. Those albums chronicle a personal emotional journey from a darker emotional place to new promising relationships. 2018 has Frank turning his gaze back outward to the rest of the world. His latest album, Be More Kind returns to earlier themes. The election of Donald Trump in the US, and Brexit in his home UK, have made him contemplate the meaning of these events in our time, and how to continue to be authentic when the world is “slipping over the brink,” as he states in the punk tinged ‘1933‘, an allusion to the years before WWII and the start of the rise of Hitler in Germany. The song is a direct slap in the listener’s face to wake up and pay attention to what’s going on, a pretty terrifying take on the current state of world affairs. While 1933 (along with the one off song ‘Sand in the Gears‘ that he premiered right after Trump’s election in Jan. 2017) are directly confrontational, Turner’s larger question on his current album is how to move forward to a better place given the situation we find ourselves in. His answer, as you may have guessed by now, is answered in the title track ‘Be More Kind‘. Starting quietly with just acoustic guitar, the song slowly builds to a full yet restrained melody as Turner implores us to show more kindness towards each other, try to better understand each other and find common ground, regardless of our political views or beliefs. Musically, this is Turner’s most expansive album to date, incorporating not just his trademark punk folk as well as rock style, but also the most pop influenced songs of his career. While ‘There She Is‘ is a lovely slice of acoustic pop balladry, ‘Little Changes‘ uses an upbeat and bouncy melody to impart the message that “the big things stay the same until we make Little changes” – change, whether in your personal relationships or in society as a whole, cannot happen all at once but needs to start one step at a time, always moving forward. 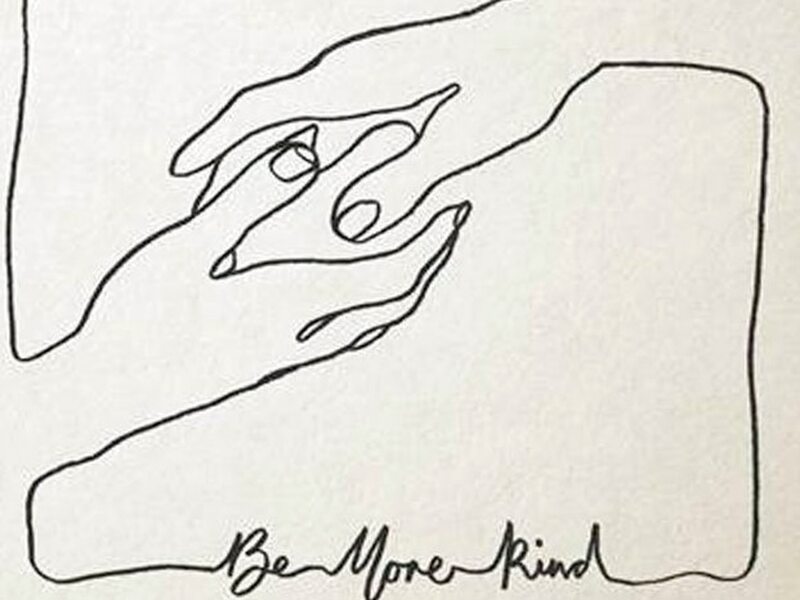 Be More Kind provides a compelling reminder for finding our best selves again, for showing kindness, love and tolerance of others, as the only way to make it through these challenging times. What’s that song from that movie that I liked? Music and movies have always had a connection , even in the early years of cinema. The very first movies were silent but had music as a soundtrack. Some films, when shown in the theater, were accompanied by musicians playing live. Directors recognized even then that music could be used as an instrument to create atmosphere and evoke emotion. Many of our greatest films can be identified by only a few bars played from their musical score. Filmmakers in the last 50 years or so have increasingly used music in their films that was not specifically written for that purpose. In essence, these filmmakers have become curators pulling together sometimes disparate songs with the overall goal of creating atmosphere, setting the mood and even advancing the plot.The tone of the movie Trainspotting was undeniably set with it’s iconic opening scene of three Scottish hoodlums running through the streets to Iggy Pop’s “Lust for Life”. While not one of my favorite movies, I can’t deny that the opening scene of Saturday night fever and the song “Staying Alive” were made for each other. The soundtrack of Saturday Night Fever was produced with the movie in mind but it was also a stand alone album that could’ve been released on his own without the existence of the movie. Many movies over the years have made extensive use of popular music with varying degrees of success. The best ones have managed to choose songs that complemented the action taking place on screen without distracting from it. Two of my personal favorites are “Almost Famous“ and “High Fidelity”. Almost Famous is a semi- autobiographical, part fact, part fiction retelling of young Cameron Crowe’s experience as a 15-year-old who manages to get an assignment from Rolling Stone magazine to tour with and write a profile on a young up-and-coming rock ‘n’ roll band. What results is a chronicle of a rock tour and a coming of age story in the early 1970’s world of rock ‘n’ roll excess. The movie is filled with music from that era without using the most obvious choices. One of the most memorable scenes takes place on the tour bus after a night of hard partying by the lead guitarist jeopardizes the tour. The film muses artists including the Who, Led Zeppelin, Elton John, Todd Rundgren, the Beach boys, Simon & Garfunkel, David Bowie covering Lou Reed and even Thunderclap Newman. High Fidelity tells the story, adapted from the book written by Nick Hornby, of the owner of a store called Championship Vinyl, played by John Cusack. It’s the story of his journey from a string of failed romances to an actual grown-up relationship told in the format of “my top five break ups”. Every music nerd has engaged in the discussion of “my top five albums”, “my top five songs”, etc. This movie uses that device extensively. The music often takes center stage but does it without crowding out the story or the characters. It varies from classic Stevie Wonder to more obscure modern rock and punk; Dylan,The Kinks, Velvet Underground, Stereolab, the Beta band, Aretha Franklin, Elvis Costello and the Attractions and the Jam to name a few. As an added bonus, there’s even a brief cameo by Bruce Springsteen. It also doesn’t hurt that Jack Black is hilarious. Another movie worth mentioning is Empire records from 1995. It’s the story of a day in the life of an independent record store staffed by a bunch of misfits and oddballs. I mention it not because it’s a good movie, far from it. It’s actually a terrible movie. It has plot holes you can drive a semi through, exposition that appears out of nowhere and then disappears without further exploration, and moments of high drama that have no place in a movie this lightweight. So naturally, I’ve seen it at least five times. Why? Because the soundtrack is actually half decent. It’s got some Dire Straits, AC/DC, some more obscure but interesting music and a surreal performance of a punk pop song called “Sugar High” by a very young Renee Zellweger at the climax of the movie. Music is truly the glue that holds this rambling wreck of a movie together. Oh, Liv Tyler is also in it and for me that always increases the odds of a repeat viewing. Of course, there are many movies that have fantastic soundtracks; Apocalypse now, Forrest Gump, Good Morning Vietnam and Pulp Fiction, to name a few. Tom Hanks, as producer of the movie “That Thing You Do”, actually pulled off an amazing feat. He told the story of a fictional one hit wonder band in the early 1960s touring with a bunch of other artists of that era. He managed to do it with almost all original music made by fictional singers that sounded like it was written in 1962. This movie also has the distinction of being one of only a few movies I can put on at my house when no one can agree on what to watch and everyone will be happy. Music and TV shows have also been a good match. Many shows have used music to their advantage and done it well. The West Wing and the Newsroom, both created by Aaron Sorkin, have memorable episodes which included music from a number of different artists. In the second season of The West Wing, the season finale climaxed with the Dire Straits song, “Brothers in Arms”. That episode remains one of the creative peaks of a show with many creative high points. The Who’s “Baba O’Riley”Provided the soundtrack to the most important segment of the season finale. Actor and director Zach Braff takes enormous interest in the music in his projects. The show Scrubs used music extensively to the point that two albums worth of music from the soundtrack were release. In his first movie that he starred and directed in, “Garden State”, also incorporated music extensively and resulted in an album soundtrack. A good soundtrack in a movie or TV show almost always gets my attention. At its best the music makes a good story even better. I’ll even put up with the flaws of a bad movie if the music is good. Only the combination of bad movie, saddled with bad music, will send me running for the exits or changing the channel. Or, you can just make the movie about Johnny Cash.